Hydraulic turbines are subjected to various sources of excitation. How are their vibrations damped? It is the added damping due to the water flow on the turbine blades which reduces the vibration amplitude. The paper by Jean-Philippe Gauthier who works in collaboration with Hydro Quebec was just accepted in the Journal of Fluids and Structures. The preprint is available here. 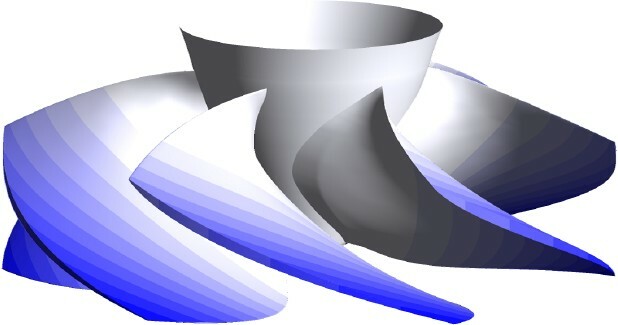 Vibration mode of turbine blades.